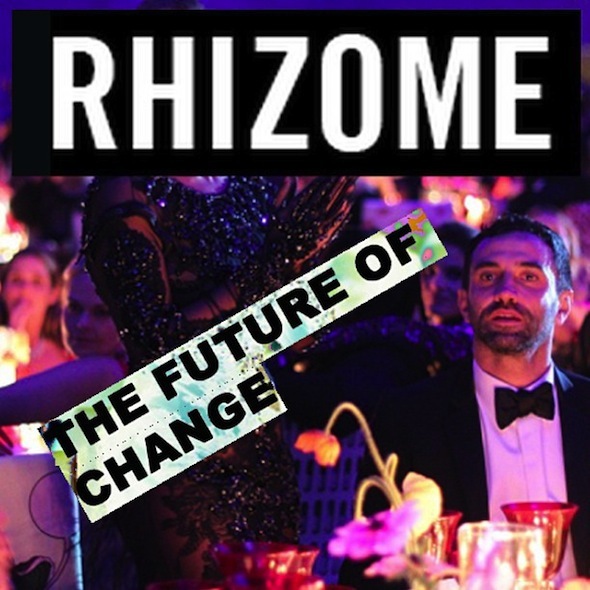 Rhizome | Blog Posts tagged "changing the world"
Michael Connor | Mon Nov 4th, 2013 11:24 a.m. This Thursday, the Rhizome community will come together in the New Museum Sky Room to re-imagine its future. A future less bound by the nitpicking criticism of the past, the hand-wringing, the self-doubt. This is our promise to you: a profound sense of human connection, an art that can bridge the cultural gaps in an interconnected world, an app for every social problem, a better wave, a more sustainable and democratic glass of champagne. Are you brave enough to come with us on this journey? Tickets begin at $50 and are on sale here. Follow us on Instagram for continuing updates.